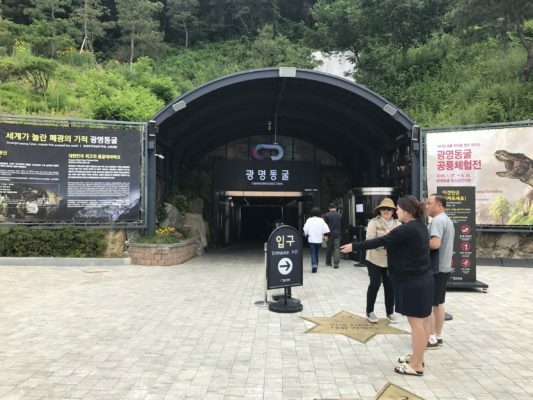 Gwangmyeong Cave which was shut down in 1972 is a place where people were drafted to work by force and abused during the Japanese Colonial Rule and the trace of modern industrialization still remains. It was abandoned for 40 years, from 1972 to 2011, with the strong smell of salted shrimps. In 2011, after being purchased by Gwangmyeong City, it has been transformed into a place where people can relax and enjoy cultural and art experiences. 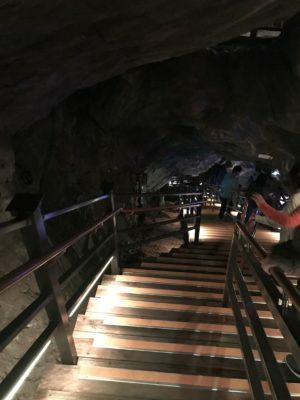 It is considered the best cave theme park in Korea with the combination of industrial heritage and cultural value and accomplished the miracle of an abandoned mine. 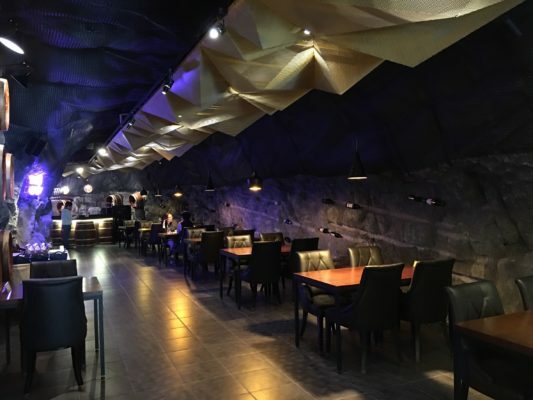 Today, let’s introduce this amazing cave for you. 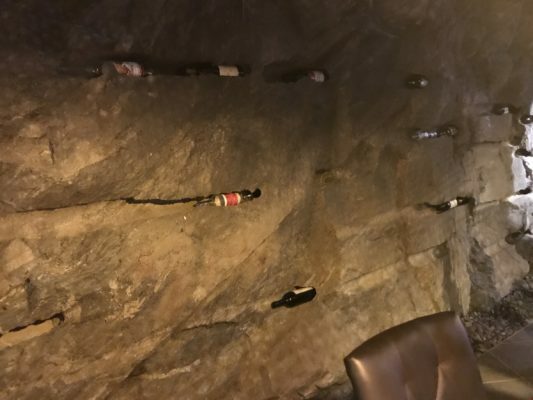 When you arrive, you would see two alternatives for climbing up. 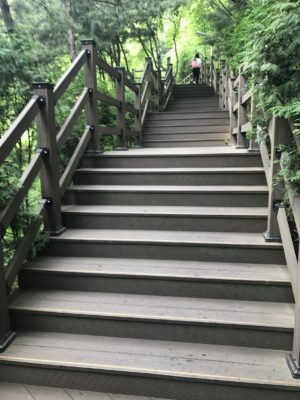 One is stairs and the other one is a low slope pathway. 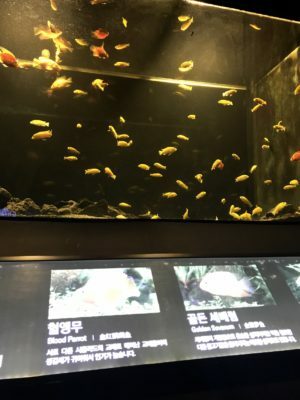 Depending on individuals’ condition, visitors would choose one. Then, you would see the ticket office on the top. The map here is also clear and informed. 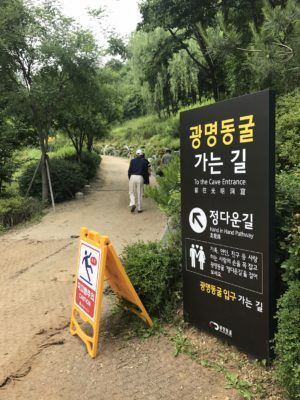 Here is the entrance. 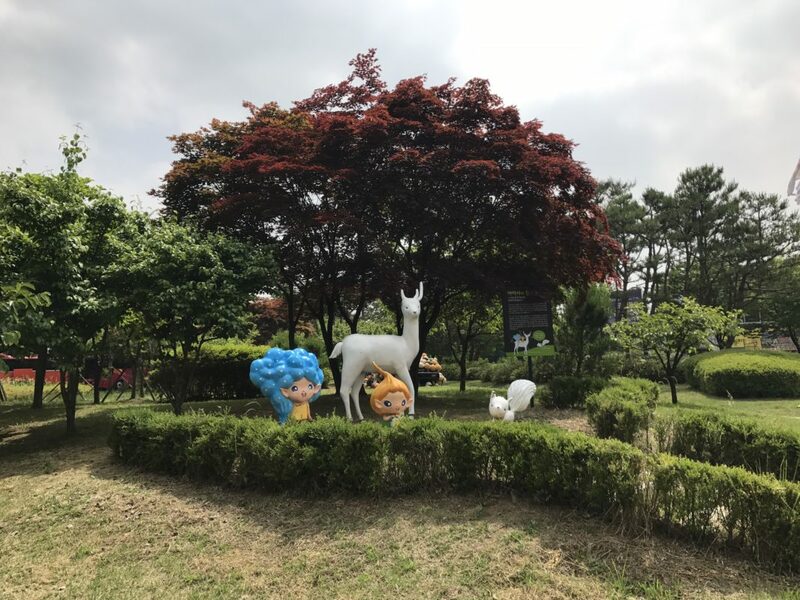 The wind is so strong and cool. Highly recommend visiting here in the summertime. 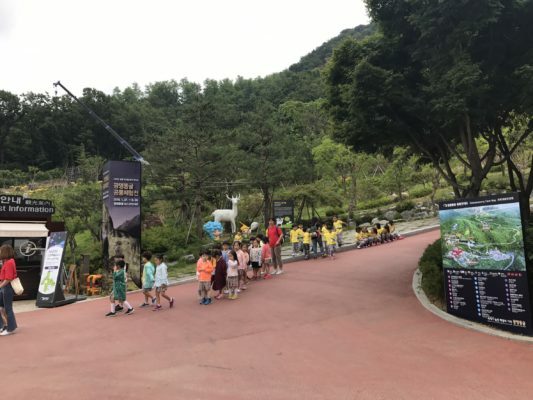 Many children also follow their instructors and come to visit here to learn the history and have a picnic. 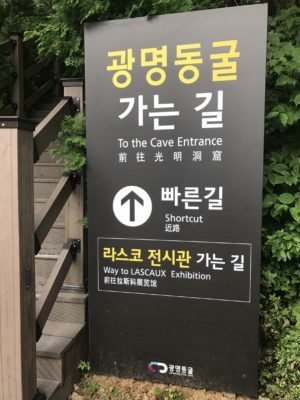 Let’s check what they have inside the cave. 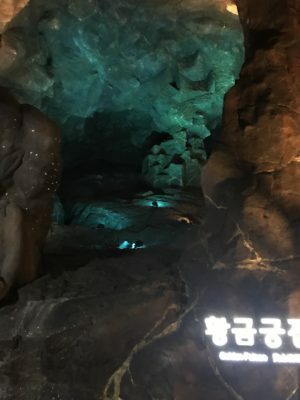 Gwangmyeong Cave was initially developed as a gold mine. 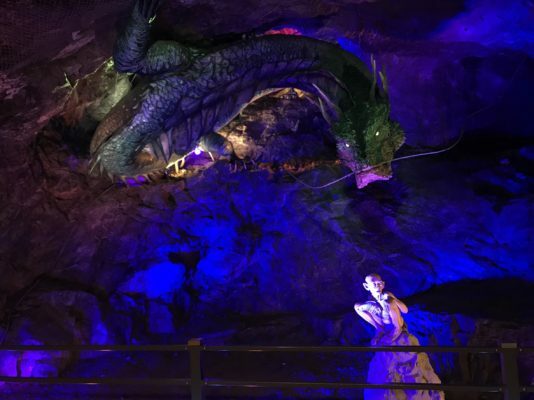 As of 1950, the total mineral deposit of the cave was estimated at 19,000 ton. 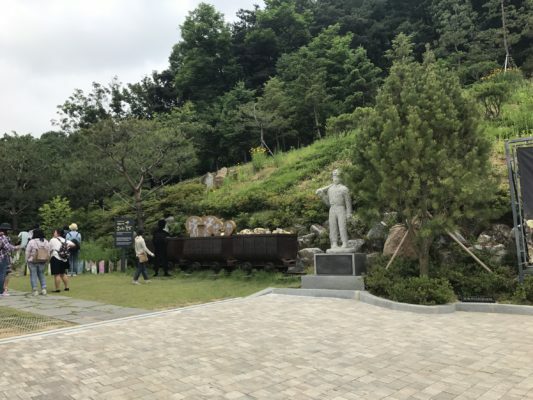 52kg of gold was discovered from 1955 until 1972 when the mine closed down. 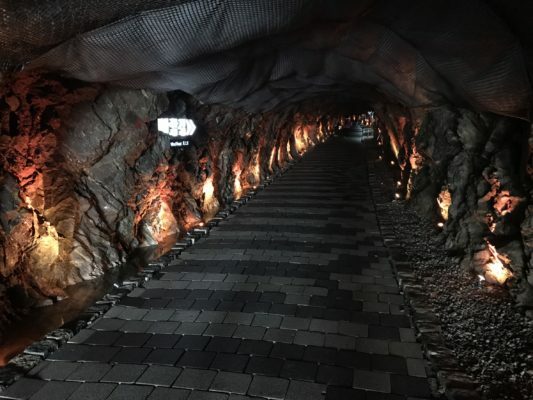 It is assumed that the mine, which had commenced digging gold in 1912, has produced hundreds of kilograms of gold until 1954. 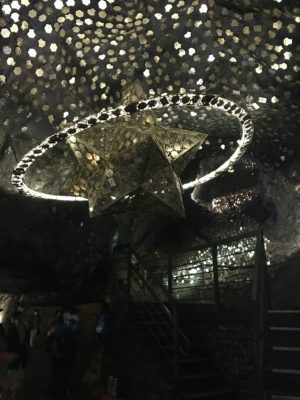 Although it ceased operation in 1972 due to environmental pollution by flood and difficulties regarding compensation, experts agree that there is still a large sum of gold buried inside the cave waiting to be discovered. 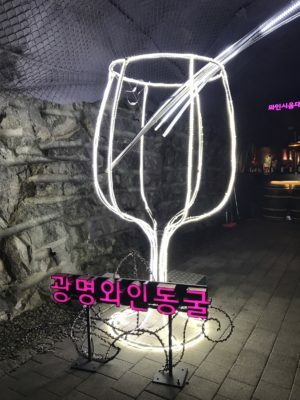 The most interesting thing is that visitors could have a meal and drink in Gwangmyeong wine cave, CAVE de VIN. 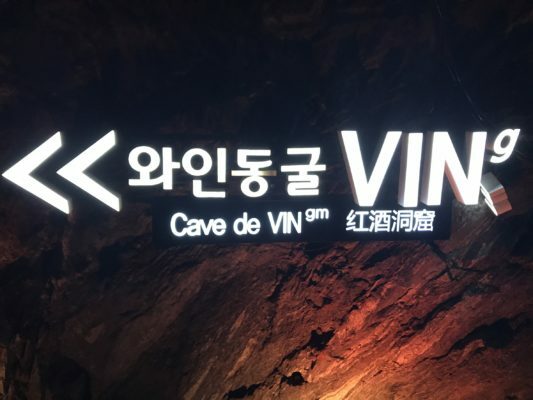 There is a 194m long wine cave in Gwangmyeong Cave that has an average yearly temperature of 12 degrees. 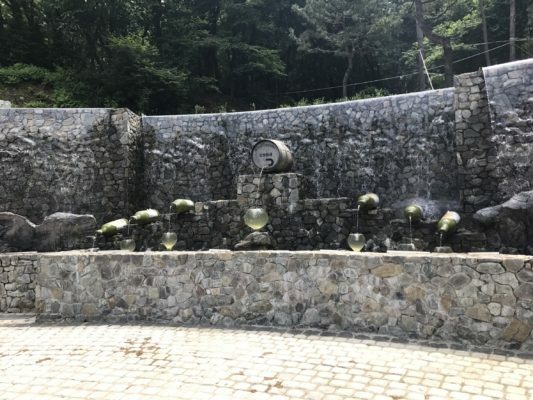 Gwangmyeong, a city that was traditional without wine, has become the mecca of Korean produced wine through its wine cave. 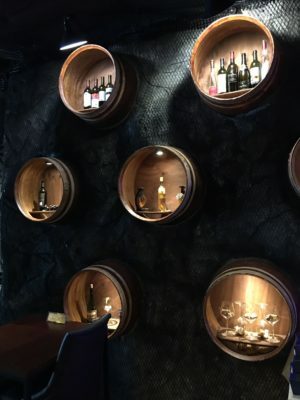 Visitors can also buy and experience excellent quality locally produced wines using specialty fruit. 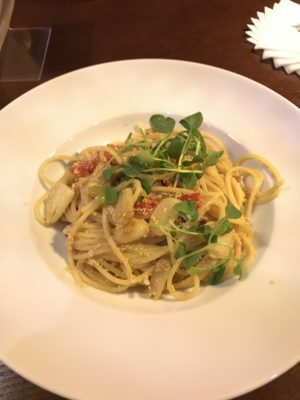 This entry was posted in BnBHero Insights! 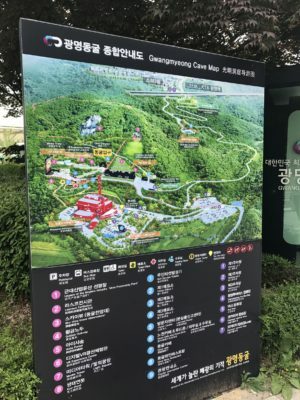 and tagged attractions in Korea, cave, gwangmyeong, gwangmyeong cave, Korea travel, Korea trip, mine.